In my opinion, this will only make it hard to find something for sale as you will need to search more sites to find stuff. I really prefer Craigslist over Facebook marketplace. I think it will kill the market on CL. I think Joel is right on. What will take the place of C/L. letgo and offerup seem stupid to me. 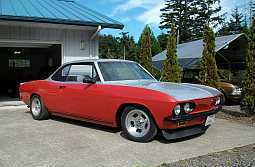 Will this slow down our Corvair addiction? Edited 1 time(s). Last edit at 04/12/2019 04:11PM by Phil Dally. Won't stop the addiction, but it WILL stop me from posting any ads. Mel didn't think you ever sold cars??? Got a boat shipwreck listed right now. > Got a boat shipwreck listed right now. Does the description say; "Ran before it sank?" SO MANY scams on CL. The other day saw a large Snap-on tool box with hutch, full of tools (LOL!) listed for $1,600. Yeah, okay! Dealers already pay for ads on Craigslist, that's why so many dealers list in the private party section. I might pay because 1) I hate FB Marketplace (and FB in general) and 2) Almost everything I post on CL sells in a couple days. 2) Almost everything I post on CL sells in a couple days. My fear is that fewer listings on CL will lead to fewer eyeballs and make it harder to sell things. Of course, we are only talking about vehicle listings - so maybe this won't be such an impact. Or maybe Craigslist will see a deluge of "parts cars" in the auto parts section. > fewer eyeballs and make it harder to sell things. 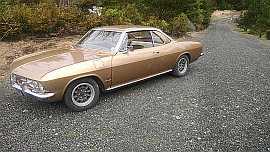 We always have Corvair Center and we know it works to sell stuff. > > Sure I do. > > Just not Corvairs. > > Got a boat shipwreck listed right now. > Does the description say; "Ran before it sank?" No, it says "FREE Chrysler 440! Must take boat with it." It didn't sink, it had a tree fall on it. Gladly. May stop a lot of the junk, scam, stupid listings one has to wade through. Ever since C/L started charging on Monday. The corvairproject daily update has been. More that just lacking on cars for sale. One day this week only had two ads. Still plenty of ads for parts. Geez, its only 5 bucks! Mel, it must have been a cypress, as I don't know of any other tree that grows in standing water. Either that, or you must have been going real fast to have run it aground that far inland. I'm not surprised since the vast majority of the Corvairs I see on CL are parts cars with some BS story about how they are restorable. "ran when parked" = needs everything. "barn find" = get it removed from the property and pay us to do it. "Needs carbs adjusted" = engine rebuild. "have too many projects" = realized it will cost 3X it's value to fix. Most wouldn't even be worth paying to advertise in my opinion. Not too mention all the nearly meaningless ads that have nothing to do with a Corvair. Edited 2 time(s). Last edit at 04/20/2019 09:46AM by Monza109.